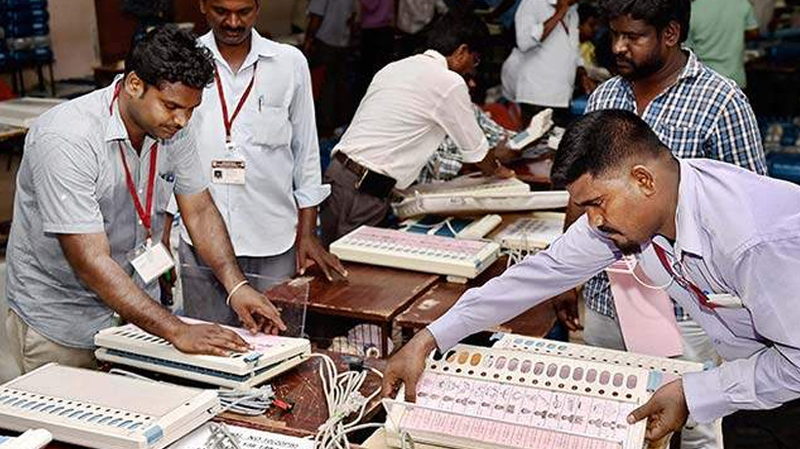 Chennai: Polling for the RK Nagar Assembly constituency began at 8 am today. The by-election was necessitated after the death of former Chief Minister Jayalalithaa on December 5, 2016, who represented the seat. With just a shade over 2 lakh voters, it will be 59 candidates in the fray with AIADMK’s EMadhusudhanan, DMK’s N Marudhu Ganesh and sidelined and jailed Sasikala’s nephew Dhinakaran as Independent being the main contenders. The BJP has put up K Nagarajan. Security arrangements have been elaborate with 15 companies of para-military forces and over 2,500 security personnel pressed into service. Closed circuit television cameras, flying squads and surveillance teams are also in place. The byelection was scheduled for April and later cancelled after complaints of large-scale voter bribing. The counting of votes will be on December 24.